​THIS subject is of vital importance to each one of us, for all of us have ancestors, relatives and friends who for some reason died without being saved. (1) They may never have heard of Jesus, "the only name under heaven given among men, whereby we must be saved" (Acts 4:12); or (2) they may not have had sufficient knowledge and understanding of Jesus and faith in Him as their personal Savior for God to put them on trial for eternal life during this Age—the Gospel Age, the faith Age. God in His mercy hides the Truth "from the [worldly] wise and prudent" (Luke 10:21) and those who because of their fallen condition, by heredity, environment and circumstances, cannot exercise the necessary faith—"all men have not faith" (2 Thes. 3:2). During this faith Age, God chooses chiefly "the poor of this world, rich in faith" (James 2:5; 1 Cor. 1:26-29). He in mercy hides the Truth from the worldly wise and prudent and from the faithless and unbelieving so as not to increase their responsibility, their culpability, before Him. Is there any hope for these and for the billions of other unsaved dead, whom God has not chosen to be "partakers of the heavenly calling" (Heb. 3:1), however virtuous or noble they may or may not have been, but who died without gaining a saving knowledge of Jesus, without accepting and holding to Him as their personal Savior and without denying self, taking up their cross and loyally following Him (Mark 8:34, 35; 10:17-27)? Many Christians and others have been taught that all opportunity for attaining salvation, eternal life, is limited strictly to the present life. But we can get the truth on this important subject only as we lay aside the teachings of men and go with open, unprejudiced minds and hearts to the Word of God, from Genesis to Revelation, for the wisdom that comes from above (James 1:5) and that truly answers our questions in harmony with reason and facts. At the outset, we state emphatically that the Bible does not teach a second chance, or opportunity, for salvation for any of Adam's race. It teaches for each of them only one chance, or opportunity — no more and no less. Some—comparatively few—get their one chance for salvation in this life. They are those who receive sufficient enlightenment from the Gospel message, who are justified through faith in Jesus' great Ransom-sacrifice, who consecrate, or dedicate, their lives to God and who receive the begettal of the holy Spirit. They get all the blessings mentioned in Heb. 6:4, 5; and after receiving these, they must be faithful and win out in this life or be lost forever — they will have no other chance, for the reason that, having exhausted their share in the merit of Christ, and Christ dying no more, there is no more sacrifice to atone for their sins (Heb. 6:4-6; 10:26-29). Therefore we do not ask in the question that is the subject of this treatise if there is any hope for such persons. There is no hope for them (1 John 5:16). But how about those who did not in this life hear about Christ and others who did not by faith receive the benefit of the atoning merit of Christ? Has Christ's death no benefit, no blessing, for them? There are admittedly many who died, not in this life having heard about Christ, and/or not having received the cancellation of their sins through His death. Among them we might instance the heathen, the Mohammedans, the Jews who are not Christians, those dying in infancy, the mentally incompetent, those who died before Jesus gave His life for them, and those who were completely blinded (2 Cor. 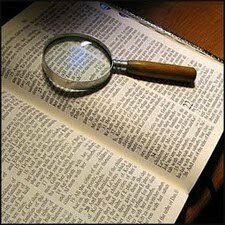 4:4) by Satan, the great Adversary, deceived by sectarianism, etc., and thus could not understand God's Word, without an understanding of which it is impossible to be saved (Rom. 10:13, 14). Are these hopelessly lost forever, or does the Bible hold out hope for them? Some will ask, May it not be possible that the unsaved dead will be saved by their ignorance? We believe not; for there is no power or anything else good in ignorance to save anyone. Instead of ignorance being a ground for salvation, it is Scripturally set forth as a reason for alienation from God and for perdition (Eph. 4:18; Hosea 4:6; 6:6; Rom. 2:12). Furthermore, the Scriptures show that knowledge is essential to faith in Christ and salvation (Rom. 10:14-17; Acts 4:12). This is likewise implied in the fact that obtaining salvation presupposes personal acts by the intellect, sensibilities and will, i.e., a matter pertaining to the domain of character, requiring on our part the steps of repentance, faith in Christ, and consecration. It is for this reason that the Church was commanded to teach. i.e., make others know, that those taught might know how to gain salvation (Matt. 28:18-20; 2 Pet. 1:2, 3; 2:20, 21). Indeed, the theory that the heathen and others are saved by their ignorance is a patent absurdity. Why send them missionaries to teach them how to obtain salvation, if they are saved by ignorance? According to this theory, to teach them about salvation would cause most of them—those who will not believe—to be lost who otherwise would have been saved by their ignorance. So through all the generations of the Gospel Age, to preach to them would have been the cause of perdition to almost all who heard the message. Does one say that we must preach to the heathen because God commands it? We agree this is true; but it is evidently that thereby they might gain what they would never gain through ignorance—namely, salvation. The above theory makes God defeat His own wishes—His desire to bless everyone. Are we to believe that God, who desires that the people may gain life (Ezek. 18:32), is so lacking in common sense and practicability as to institute the office of teaching the Bible—God's Word—as the means of saving people—through which at most a comparatively few are saved now—when leaving them in ignorance would have resulted in the salvation of all of them? Why institute the office of preaching and teaching at all, if ignorance will save all? Manifestly the idea that the unsaved dead are saved by ignorance is unbiblical, unreasonable and unfactual. For many reasons we believe the Bible holds out hope for these—not a second chance, but their first chance, since they had no chance in this life; for there is no chance for salvation without a saving knowledge of Christ (Acts 4:12), which of course such did not have. We will now discuss some of the more important reasons that prove a Biblical hope for such of the unsaved dead as did not have a chance in this life. (1) First of all, we set forth God's promise (bound with an oath) as a proof that there is such a chance for those who died without it. This promise was first made to Abraham, in the great Abrahamic Covenant, "In thee shall all the families and nations of the earth be blessed" (Gen. 12:3; 18:18). St. Paul calls this promise the Gospel (Gal. 3:8). Manifestly all the families and nations of the earth have not been blessed in this life. Consequently, those who were not blessed by the Gospel in this life will have to be blessed after this life, or the Gospel, as expressed in the Abrahamic Covenant, would be untrue. Later, God added to the original promise the statement, binding it by an oath, that in the Seed of Abraham all the nations and kindreds of the earth shall be blessed (Gen. 22:16-18). Who is this Seed of Abraham that is to bless all the families, kindreds and nations of the earth? By Divine inspiration St. Paul assures us that the Seed consists of Jesus and all who faithfully follow Him in this life (Gal. 3:16, 29). So then the Oath-bound Promise is to this effect, that sometime through Jesus and His loyal followers, all the families, kindreds and nations of the earth will be blessed. Since the only ones so far blessed are those who have become followers of Christ (some of whom, however, have made shipwreck of all by committing the sin unto death), the others, having died unblessed, must get their blessing at the hands of Jesus and His followers after this life, in the resurrection; therefore there is hope for those of the unsaved dead who did not receive the Oath-promised blessings in this life. Many Scriptures elaborate this promise, showing that the opportunity of obtaining salvation will yet come to those who died without having had such an opportunity. Isa. 29:18, 24 assures us that those whose eyes and ears of understanding Satan has closed in this life will, in the Millennium, be caused to understand God's Word, by which an opportunity of being saved will be given them. Isa. 35:5, 6 gives the same line of thought; while v. 10 tells us that they will return, i.e., from the tomb, and come to Zion (Christ and the Church, their Blessers as the Seed) and be greatly blessed. Isa. 60:14, 15 assures us that all of those whom Satan so blinded as to move them to hate and persecute the true people of God (Zion) would acknowledge them during the Millennium and be greatly gladdened, blessed, by them. Luke 2:10 assures us that the good tidings of great joy—the Gospel—shall be to all people; but we know that as yet all people have not obtained these good tidings of great joy; in fact the great majority died without that joy, so these must get it after this life. Therefore, God's giving the great Oath-bound Promise, which He elaborated by numerous other promises, proves that there is hope for those of the unsaved dead who did not have their opportunity for salvation in this life. This Oath-bound Promise is the strongest Biblical proof of hope for such of the unsaved dead. (2) The second reason for hope for the unsaved dead is the Ransom-sacrifice of Jesus, laid down for every human being. That Jesus died for the sins of the whole human family is very apparent from the following passages: John 1:29, 36; 3:14-17; 11:51, 52; Rom. 5:6-8, 18, 19; 1 Cor. 15:3; 2 Cor. 5:14, 15, 19; Gal. 4:4; Col. 1:20; 1 Tim. 2:6; Heb. 2:9; 1 John 2:2. The Bible speaks of His death as His giving Himself a Ransom for all men (Matt. 20:28; 1 Tim. 2:6). The word ransom is the translation of the Greek word antilutron, which is compounded of the two words lutron, price, and anti, instead. It means a price instead of, i.e., a corresponding price. The figure is that of a business transaction. In the figure God is the Creditor, Adam and the race in his loins the debtor, and Jesus the Purchaser. The Creditor requires the payment of the full debt, no more and no less. The debt is the human all of the perfect man Adam. The purchase price to redeem the debtor must be the exact equivalent. Jesus became a man and laid down this exactly equivalent price by His death, when in offset of Adam's debt He gave the all of His perfect humanity. Thus as the perfect Adam's human all involved his right to life, as well as all his perfect human life-rights, which when he sinned had to be surrendered in death in payment of his debt, so Jesus as the corresponding price had to lay down His human life and all His perfect human life-rights. Both being perfect humans, of exactly equivalent rights, the life and life-rights of Jesus are a corresponding price for those of Adam. Therefore as the Ransom they are an offset before the Creditor to the complete debt of Adam, which by heredity involved Adam's entire race, yet in his loins at the time of his sin. The Ransom, therefore, implies that in God's "due time" (1 Tim. 2:5, 6) there will be the complete deliverance of the entire human race from the Adamic sentence. Now, by an imputation, this corresponding price cancels the sins of Jesus' followers (Rom. 8:1; Heb. 7:25; 9:24; 10:14; 1 John 4:10), and thus gives them an opportunity to gain everlasting life. By and by, through an application, as a gift, it will cancel the sins of the whole world (John 1:29; 1 John 2:2). Therefore the world, then free from the Adamic sentence, will be given an opportunity to gain salvation from all the effects of that sentence; for if it was just, or right, that through the forfeiture of the human life and life-rights of Adam they by heredity became involved in his ruin, it is just that through the substitution of the equivalent of Adam's debt they be freed from the sentence, in order to gain deliverance from every vestige of the ruin. Accordingly, the Ransom guarantees an opportunity for everyone to be saved. Therefore those who did not enjoy that opportunity in this life will have it in the future life. Thus we see there is hope for the unsaved dead who did not have such an opportunity in this life. This is exactly the way the Scriptures set forth the matter. In John 12:32, our Lord Jesus declares: "And I, if I be lifted up from the earth, will draw all men unto me." Thus He shows that His Ransom-sacrifice, which was completed when He was lifted up on the cross and died, will result in all men being drawn to Him, i.e., in being delivered from the death sentence and in being favorably influenced toward Him. But the vast majority have not been so delivered and influenced toward Him in this life. Therefore this will occur with them in the next life. In Rom. 5:12-19, St. Paul reasons to the same effect. In vs. 12-14 he shows how Adam's sin brought the death sentence (not an eternal torment sentence) upon the entire human family. Then by comparisons and contrasts he shows Adam's sin and its effect for the whole race, and the contrasted righteousness of Jesus unto death and its effects for the whole race. And whereas the one brought sin, wrath and death upon all, so the other brings righteousness and release from wrath and death to all, to the end that all may through Christ, if they fulfill the conditions, obtain the right to life, "justification of life." We are witnesses to the fact that "the free gift" "unto justification of life" has come only to the minority in this life; therefore its coming to most of the all must be future. Note, the second italicized (inserted) word "came" in v. 18 should have been made to read "shall come." Two facts prove this: (a) the fact that the free gift, which v. 16 shows is the forgiveness of sins, did not in this life come to all men, and therefore must refer to a future event; and (b) the fact that v. 19 gives the reason and explanation for the statement in v. 18 ("the free gift shall come upon all men unto justification of life") by using the future tense, "shall be made righteous," in respect to the Adamic sin. Thus Rom. 5:12-19 very strongly proves that the Ransom guarantees an opportunity for life to every son and daughter of Adam, and therefore proves that those who did not receive the opportunity in this life will have it in the next life. Note also 2 Cor. 5:14, 15: "For the love of Christ constraineth us; because we thus judge, that if one died for all, then were all dead." This likewise supports the teaching that all must learn, now or hereafter, of Christ's Ransom-sacrificial death on their behalf. 1 Tim. 2:4-6 is another passage to the point. In v. 4 two glorious promises are made as an outflow of the Divine good will:  that all men will be saved, not eternally, but from the Adamic sentence; and  that all men will come into an exact knowledge of the Truth. Three reasons are given in vs. 5 and 6 for these two blessings: (a) the unity of God, which implies that He has all the Wisdom, Power, Justice and Love to effect these two blessings; (b) the Ransom-sacrifice and consequent Mediatorial office of Christ Jesus on behalf of all men; and (c) the due seasons of God's Plan, when the blessings of the Ransom will be savingly testified—now for the Church as followers of Jesus, and in the Millennium for the entire world. Thus this passage gives, among other things, the Ransom as the reason for an opportunity for all. Note also 1 Tim. 4:10: "We trust in the living God, who is the Saviour of all men [not unto giving all eternal life, but from the Adamic death sentence; after it is removed from each one—which God here guarantees, and which therefore must come to all, now or hereafter—each is given an individual trial for life, and only those who prove worthy in their trial are given everlasting life], specially [the Savior to the uttermost] of those [only] that believe [who accept and faithfully hold to Jesus as Savior and Lord in this life—the elect—or after the resurrection awakening—the non-elect]." Titus 2:11 testifies similarly: "The grace [love] of God hath appeared, bringing salvation to all men" (ASV), in His gift of Jesus for mankind's salvation. Jesus' death for all is clearly taught in Heb. 2:9, which states that Jesus was made a perfect human being like perfect Adam "that by the grace of God he should taste death for every man." In 1 John 2:2, Jesus is expressly called "the propitiation [satisfaction] for our [the Church's] sins: and not for ours only, but also for the sins of the whole world [therefore they also must all benefit from it]." Accordingly, there will be an opportunity for salvation in the next life, in the resurrection awakening, for all who did not have such an opportunity in this life. Two questions which may come up to many earnest, thinking students are: (a) If Christ died for the benefit of all mankind, why have the benefits of His death been so long delayed in coming to all mankind? (b) Why did they not flow out to all as soon as He died and was resurrected or at the latest at Pentecost? We will answer these questions from the standpoint of their implications in the reverse order of their presentation. Christ's death-benefits could not flow out to all as soon as He died and was resurrected, because the merit of His death was not yet appropriated on behalf of anyone. This was not done until after His ascension, i.e., until Pentecost. Although at Calvary our Lord completed the laying down of His human life-rights and His human right to life—His Ransom merit—for us, He thereby did not impute them to us; He thereby merely made them available for such an imputation, which was later to be made. In other words, Justice was not yet satisfied for our sins at Calvary; for there only the right to life with its corresponding life-rights was separated from Himself in so far as His use of them for Himself was concerned; and thus they were put into a condition in which He could use them for others. Nor by Jesus' resurrection did He impute this right and its life-rights to us; for from the standpoint of God's justice, Christ's resurrection was not the rendering of satisfaction to it, but was the evidence that He had faithfully done the Father's will unto death, and that His righteousness was available for making atonement, which as a matter of fact He had not yet made. In other words, by His death He had set aside a ransom-price sufficient to purchase the world, and by His resurrection the proof of this fact was given; but by neither act did He actually purchase the world. Christ was by these two acts in the position of a man who has made the purchase price of a certain property available for buying that property, but who has not yet bought it, though he is fully intending to buy it. What must a person do who has the money to buy a house that is for sale, in order to acquire it for himself? He must pay for it, and obtain the necessary papers, before he is the purchaser and owner of the property in question. And when he does these things the property is his purchased possession. So Christ, making the purchase price available by His death, and by His resurrection being assured that the purchase price was acceptable for the redemption of the race, had to use it for purchasing the possession. And this He did after His ascension only for the Church, not for the world, even as we read in Heb. 9:24 (compare 1 John 2:2) "Christ hath now appeared in the presence of God for us," i.e., as the Church's Advocate at the bar of justice He appeared with the price that satisfies justice for the debt of the Church—those of the culprits for whom He now acts as Advocate before the bar of Divine justice. It is for this reason that the holy Spirit could not be given until Pentecost — after He appeared in the presence of God for them. St. Paul in Heb. 9:24 traces the matter from the standpoint of type and antitype, thus: As Aaron had first to offer the sacrifice in the Tabernacle Court so as to make the blood available for sprinkling on the Mercy Seat for atonement, and thereafter made the atonement by such sprinkling (Lev. 16:11-17) in the Holy of Holies; so Christ, by His death in the justified condition (the antitypical Court) had to make His Ransom merit available for atonement, and thereafter, at Pentecost, in heaven (the antitypical Holy of Holies) actually did make the atonement for the Church only. Therefore the blessing of His death could not operate on anyone's behalf until Pentecost, fifty days after His resurrection. Thus we have answered part of the implications in the first question. Now for the answer to the rest of the implications in the first and the whole of the second question: Why have the benefits of Christ's death been so long delayed in coming to all mankind? and why did they not come to all at Pentecost? It undoubtedly is a fact that the vast majority of mankind have died without getting the benefits of Christ's death, yes, without even having an opportunity of obtaining them, having never heard of them. It is a further fact that comparatively few have as yet obtained these benefits, and these facts raise in the sincere, thinking student's mind the queries that we are considering. (a) The main reason is that God for the wisest and most benevolent purposes has not willed that during the Gospel Age these benefits should come to everyone, but rather that they be restricted to the faith class—the elect; for they are the only ones who could be saved under the strenuous conditions of a faith Age, since they are the only ones capable of exercising the necessary faith required by the conditions of such an Age. Therefore God mercifully leaves the others shut up in their unbelief until He has completed the elect class, who need the schooling of present faith-testing conditions for their proper training for the office of blessing the non-elect with favorable opportunities of obtaining the restitution salvation of the Millennial Age (Rom. 11:30-32). (b) If the benefits of Christ's death were in this faith Age applied for the unbelief class, every one of them would be eternally lost, because they lack the faith essential to overcoming amid the strenuous conditions of the faith Age (2 Thes. 3:2; Heb. 11:6). (c) Jehovah benevolently designs permitting the unbelief class now to undergo an experience with evil, which when contrasted with the experience with good, designed by Him for them in the next Age, will better than anything else that we can think of turn them into hating and forsaking sin and loving and adhering to righteousness, because experience is the best of all teachers to such characters as the unbelief class. (d) The nearly 2,000 years since Calvary have been needed in order that there be enough human beings propagated to fill the earth in the Millennium. (e) And finally, Jehovah has set aside the Millennial Age for the very purpose of instituting a fit time and proper conditions for extending the benefits of Christ's death with best results to the whole non-elect world—conditions which will not require a sightless faith, now required of the elect. It is for this reason that Christ during the Gospel Age imputes His merit only on behalf of the elect (Heb. 9:24; 10:14), and reserves the application of His merit on behalf of the world for the Millennial Age, even as Aaron made the first atonement for the Priesthood and Levites only, and then made the second atonement "for the people" (Lev. 16:6, 11, 14, 9, 15, 17; Heb. 7:27). (3) A third Scriptural line of thought proves the proposition that all who had no opportunity for salvation in this life will be given their chance in the next life: Jesus says that all sins except the sin against the holy Spirit (all other sins are Adamic sins) will be forgiven the children of men. Mark 3:28, 29 is to the point: "All sins shall be forgiven unto the sons of men, and blasphemies wherewith soever they shall blaspheme; but he that shall blaspheme against the Holy Spirit hath never forgiveness." This passage very clearly teaches that every sin except the sin against the holy Spirit will be forgiven the human family. But all experience proves that the vast majority of the human family have not sinned against the holy Spirit (sinned willfully against clear light) but nevertheless died without the forgiveness of their sins. Therefore the sins of such persons will be forgiven in the next life. So there is hope for such of the unsaved dead. In the parallel passage of Matt. 12:31, 32, which we will quote from the ASV, because it translates the passage better than the KJV, Jesus shows that there are two periods of time for forgiveness of sin: (a) in this world (Age) and (b) in that which is to come; but in neither of them will the sin against the holy Spirit be forgiven. Therefore this passage implies that those sins that are not against the holy Spirit, and that were not forgiven in this world, will be forgiven in the next "Every sin and blasphemy shall be forgiven unto men; but the blasphemy against the Spirit shall not be forgiven. And whosoever shall speak a word against the Son of man, it shall be forgiven him; but whosoever shall speak against the Holy Spirit, it shall not be forgiven him, neither in this world, nor in that which is to come." (4) The character of God, combined with the fact that most unsaved people die with characters reformable under easier conditions than those now prevailing, proves that in the next life, under the easier conditions of the Millennium, an opportunity for reformation will be given to those whose characters are reformable under those easier conditions. Experience and the Scriptures teach that only those who can trust God where they cannot trace Him can under the present evil conditions develop characters fitted for everlasting life (Heb. 11:6; Gal. 3:7, 9). Experience and the Scriptures teach that the unbelieving class, unable to exercise such faith, cannot under present evil conditions develop characters fitted for everlasting life, because through their ignorance and weaknesses Satan blinds and misleads them (2 Cor. 4:4); and that therefore God gives them up to their unbelieving condition, that later, under easier conditions, He may show them mercy through which they can reform (Rom. 11:30-32). Thus we see that some pass out of this life with characters which can be reformed, if they are given a chance for reformation amid conditions conducive to their reformation such as the Bible assures us the Millennial conditions will be. Death does not fix character either in good or in evil any more than natural sleep fixes character in good or evil. Therefore there is nothing about death that can estop the Almighty's willingness to help people to reform; for the only thing that estops Him from reformatory efforts is irreformability in the willfully wicked. The Bible shows us that God delights to use His Wisdom, Power, Justice and Love (the chief qualities of His character) in ways to help people to reform (Rev. 15:3, 4). These qualities moved Him to send His Son to be a Ransom for all. To have given His Son unto death for all was the greatest sacrifice that He could make to save man. And if His almighty Wisdom, Power, Justice and Love were displayed in giving His Son to die for all mankind's blessing, with an opportunity of recovery from the curse and of gaining eternal life, would His Wisdom, Power, Justice and Love stop short of doing easier things—such as putting the race under conditions that would be conducive to the reformation of even the weakest of the race for whom He did the hardest thing—gave His Son unto death for them (Rom. 8:32)? Verily His holy character, being strong enough to do the hardest thing for them, will not stop short of doing the easier thing, i.e., giving them a chance for recovery amid conditions in which they could reform, as the unbelieving class cannot now reform. This therefore implies that later on God will arrange to help those to reformation whom in this life He did not so help. (5) The Bible gives a fifth fact that proves an opportunity for those of the unsaved dead who in this life were denied the opportunity of gaining salvation: God's object in selecting the Church now from among mankind is that in the next life He may use this elect Church as His Agent to bless with opportunities of salvation all the non-elect, i.e., those passed by during the present life, in which only the elect, the faith class, are dealt with. The Bible teaches that the human family consists of two classes: (a) a faith class (Gal. 3:7-9; 2 Cor. 5:7), and (b) an unbelieving class (2 Thes. 3:2; Rom. 11:30-32). God, foreknowing that under conditions that require a strong faith in order for one to overcome, the faith class could, but the unbelieving class could not gain salvation, predetermined to give only the faith class the opportunity to gain salvation while those conditions would prevail. This procedure is wise, just and loving, and is in the interests of all concerned. In other words, the loving heart of God desires ardently to help all His fallen creatures, and therefore He arranged His Plan in such a way as will be to the best interests of all concerned. If He would put the unbelieving class on trial for life amid present conditions, in which it would be impossible for any of them to be saved, since these conditions require faith, which they do not have, He would be acting against His Wisdom, Justice and Love, a thing that He will not do. How much more like the good God that He is, to defer the trial of the unbelieving class until conditions prevail amid which they can overcome, and now give only those a trial who amid conditions that make the exercise of faith necessary can exercise the required faith and thus win out! How much more like Him to select this very faith class for the purpose of preparing them to help the unbelieving class to reformation when their trial time comes! And because of the faith class being faithful under the harder conditions He, of course, gives them a greater reward. It is even so according to the Scriptures. St. James teaches (Acts 15:14-17) that during the Gospel Age, God has been visiting the nations to take, select, out of them a people for His name, the elect. He likewise shows that after this is done, the Lord will return and establish the Kingdom, in order that the residue (Webster defines the word residue to mean that which is left after a part is taken from it) of men might seek after the Lord, i.e., seek salvation. The elect are the part taken out and the non-elect are the residue of men, those that are left after the elect are taken out from among men. (See also "out of" in Rev. 5:9, 10.) Therefore we see that God first, in this Age, deals with the elect for salvation; then, in the next Age, He will deal with the non-elect for their salvation. In Rom. 9, 10 and 11, St. Paul shows that because of unbelief Israel as a nation failed to gain a place among the elect, and that God has gathered the faith class from among both Jews and Gentiles, making them the elect. In chapter 11 he shows God's loving design in this matter. Particularly in vs. 25-33 he shows that God permitted Israel to stumble and wander about in their unbelief, while He during the Gospel Age would gather the elect out of all nations, in order to use them after the Gospel Age, i.e., during the Millennium, to show mercy toward the unbelieving class in Israel. V. 25 shows that they would have to remain in their blindness until the full number of the Elect from among the Gentiles, "the fulness of the Gentiles," would come unto their trial period. Vs. 26 and 27 show that after this, God would recover them from their blindness, forgive them and make the New Covenant with them. Vs. 28, 29 show that it was to effect the operation of the elective features of the Gospel that God permitted Israel to fall in their unbelief into enmity with Him and His elect people; yet because of their relations to the promises given to the fathers, Abraham, Isaac and Jacob, God still loves them, and will not change His purpose to bless them and make them a blessing in the Millennium. Vs. 30, 31 show that while Israel because of unbelief during the Gospel Age has not had the kindness that the Gospel Church because of faith has had, i.e., the privilege of trial for the elective salvation, yet the Gospel Church is having this trial for the very purpose of showing during the Millennium the kindness of granting a trial for life to the unbelieving class in Israel, i.e., that class that throughout the Gospel Age has been dying in unbelief. V. 32 shows that this has been all along the loving design of God in leaving the unbelieving class in Israel in their unbelieving condition in one generation after another throughout this Age. How clear this makes the language of the aged Simeon (Luke 2:34), who said of the child Jesus: "This child is set for the fall and rising again of many in Israel"! The unbelieving class in Israel throughout the Age stumbled and fell over Jesus and died in that condition; but thanks be to God, the very ones who fell will "rise again." And as they did not "rise again" in this life, it must be that they will "rise again" in the next, "that through your mercy," the mercy that the elect in the Millennium will show them, "they also may obtain mercy; for God hath concluded them all [left them all unhelped] in unbelief, that he might have mercy upon all. O the depth of the riches both of the wisdom and knowledge of God! How unsearchable [to the natural man, but understood by the spiritual man (1 Cor. 2:7-16)] are his judgments, and his ways past finding out!" Let us praise our God for the understanding of this glorious mystery! It surely reveals a future opportunity for those who had none in this life. How beautifully clear, harmonious and lovable is the teaching of the Bible as just shown on the subject of the elect and the non-elect! Surely we may well love and worship a God who has arranged so benevolent and practical a plan! (6) The Bible teaches a twofold experience for the non-elect, those who in this life were not given the opportunity of gaining the elective salvation. It teaches that in this life they will have an experience with evil, amid which, with experience as a teacher, they will learn just what sin is and just what its effects are. It further teaches that to those who in this life have undergone the experience with evil there will in the next life be given an experience with good amid which, with experience as a teacher, they will learn what righteousness is and what are its effects. The Bible teaches also that the experience with evil, which has come to all by Father Adam's sin, is given to the race while the curse prevails. And it teaches that the experience with good, effected for all by Christ's Ransom-sacrifice laid down in righteousness, will come after the Adamic sentence is lifted from the race, i.e., during the Millennium, the thousand years of Christ's Reign on the earth. The Bible further teaches that exactly opposite conditions accompany the two experiences; and thus God will most effectively teach the race to hate sin, from a knowledge by experience of its nature and effects, and all the more thoroughly, because of the contrast, to love righteousness, from a knowledge by experience of its nature and effects. The human family's experience with evil is accompanied by the following bad things: sin, error, Satan's controllership in human affairs, the earth under the curse (having earthquakes, volcanoes, tidal waves, hurricanes, tornadoes, floods, droughts and extremes of climate), mankind having pain, sickness, sorrow, disappointments, losses, hardships, necessities, enmities, calamities, hard labor, accidents, false religions, oppressive governments, predatory aristocracies, wars, revolutions, lawlessness, famines, pestilences, persecution of the righteous, exaltation of the wicked, selfishness, cruelty, dying and death. The experience with good will be accompanied by the following good things (which are the reverse of the present evils): righteousness, truth, Christ's controllership in human affairs, a Paradisaic earth, pleasure, joy, prosperity, gains, comforts, abundance, friendships, equable climate, a reasonable amount of work with no labor, no accidents, no calamities, the true religion, a fostering government, a benevolent equality and fraternity, peace, lawful conduct, plenty, public weal, reward of the righteous, correction of wrongdoers, brotherly and disinterested love, kindness, convalescence, health and life. The Bible clearly teaches that the non-elect will have both of these experiences. If this can be proven, it would of course follow that there will be an opportunity for all the non-elect dead in the next life. Rom. 8:19-22 is a passage that shows these two experiences. V. 19 shows that the human race, the creature (literally, as the same word is translated in v. 22, the [human] creation—see ASV) is now, while under the curse (v. 22), earnestly longing for and is kept waiting for a better time, a time when the Sons of God, Jesus and His faithful followers, will be manifested in the glories of the Kingdom (Col. 3:4; Dan. 7:13, 14, 18, 22, 27; Rom. 8:17; Jude 14). V. 20 shows that the human family, without fault of its own, but through Adam's sin, was subject to the curse, "vanity" but is not to be left hopeless under the curse; for v. 21 shows that it is to be delivered from the curse, in order that it may obtain the liberty that will be the portion of all who become sons of God, a liberty that Jesus and the Church will minister to the obedient in the Kingdom. Then v. 22 shows the experience of evil to be universal in the human family. Thus vs. 19, 20 and 22 show the experience of evil, and v. 21 shows the deliverance from the curse of evil, i.e., the experience of righteousness, for all who were all their lifetime subject to the curse ("vanity"), and this in order that they may gain life through Christ on condition of obedience (Acts 3:23). Rom. 11:30-32 contains the same thought, an experience of woe meted out to Israel as a nation throughout the Gospel Age, in which they were excluded from mercy, the special favor of God, to be followed by an experience of bliss, in which the very ones who experienced the woe throughout this life will experience the mercy, the special favor, of God through the glorious blessings that the Gospel Church, glorified with Jesus, will in mercy minister to them. Psalm 90 contains the same thought. In vs. 1 and 2 Jehovah in His eternity is set forth. V. 3 in its first clause refers to the experience of evil as a turning of man into destruction; while the experiences of good are referred to in its last clause as a returning from destruction. V. 4 refers to a thousand-year period (the Millennium) as the time of the return from destruction, and the turning to the experience with good. Vs. 5-10 describe various features (fifteen in all) of the curse, amid which the experience with evil is had; while v. 11 asks as to the power (meaning) of the experience of evil, and answers that it is designed to work reverence for God, which v. 12 teaches will be accomplished, if its lessons are taken to heart. V. 13 prays for the return from the experience of evil, i.e., for a change of procedure ("Let it repent thee") from the experiences of evil so far undergone. V. 14 shows that the very ones who suffered sorrows (the experiences of evil) all their days (v. 9), therefore until the time of their death, are praying that in another set of all their days, in the next life, the time of the experience with good, they may be full of joy and happiness. V. 15 contains the prayer that, as in all the days of the first life they were afflicted and saw (experienced) evil, they may in the second life be glad, and thus realize the purpose that God had in permitting evil to fill their first life. V. 16 contains a prayer that Jesus and the Church as God's servants may carry forward the work of blessing mankind, i.e., giving them the experience with good, and that the world of mankind, the children of Jesus and the Church, who are the Second Adam and Eve, may carry forward God's glory; while v. 17 prays for the renewal of God's image (the beauty of the Lord) and His likeness (the work of ruling the earth, as God has the work of ruling the universe) to be given to those who in the "all days" of this life experienced evil, and who will in the "all days" of the next life experience good. Thus this Psalm and the other Scriptures previously quoted prove from the standpoint of the two experiences (one with evil, the other with good) that there is hope for those of the unsaved dead who in this life did not experience the mercy, the favor, of Jehovah. (7) A seventh proof that the Bible holds out hope for the unsaved dead who did not have the opportunity for salvation in this life is, that the facts that it sets forth demonstrate it. The Bible teaches that the people who were destroyed by fire and brimstone in Sodom, Gomorrah and the other cities of the plains, together with the Jews of the northern ten-tribed kingdom and the Jews of the southern two-tribed kingdom, in spite of their wickedness in this life (Ezek. 16:44-52), will come back to this earth and live here again (Ezek. 16:53); that the Jews will repent of their sins (Ezek. 16:54, 57-59, 61, 63); that God will make a New Covenant with them (Ezek. 16:60, 62); and that He will give the people of Sodom, etc., and the people of Samaria, etc., to the Jews for daughters, i.e., such as they will convert to the Lord; for those who are converted by others are Scripturally spoken of as their children (Gal. 4:19; 1 Cor. 4:15; Isa. 60:4). In Ezek. 16:55 the work of restoring Sodom and her daughters (people subject to her), Samaria and her daughters, and Jerusalem and her daughters, is called their return to their former estate, Restitution (Acts 3:21), a return to the original condition of perfection in which the race was in Adam, before sin entered the world, i.e., a return to God's image and likeness. Our Lord Jesus corroborates this thought with respect to the people subject to Sodom (Matt. 11:23, 24), and adds hope for the Phoenicians, the people of Tyre and Sidon (Matt. 11:21, 22), showing that they were all less guilty than were the Israelites, who the Scriptures declare will have this opportunity, and that these will have an easier time than will the unbelieving Jews of His day, when He shall reign over the earth in the Day of Judgment (Luke 22:29, 30). Surely if these will have an opportunity, all the rest of the unsaved dead who in this life were excluded from the opportunity of salvation will have it, "in that Day." Thus the declarations of the Bible prove a hope for many of the unsaved dead.